Publications like this are purely recruiting tools. While 99% of people participating in multi-level marketing will lose money, there are a few at the top of the pyramid who will make big money (only because many below them are losing money). Companies like Xyngular parade around the big winners, hoping to continuously recruit new victims into their schemes. This month’s issue of Momentum has a feature article on Jennifer McKinney, touting her earnings generated by “Team MckMama.” The best thing about this article is that it proves Jennifer and Israel McKinney can pay the creditors they tried to stiff out of hundreds of thousands of dollars. 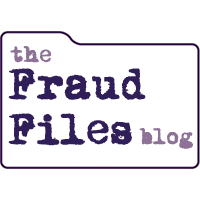 The Debtors have concealed, destroyed, mutilated, falsified, or failed to keep or preserve any recorded information, including books, documents, records, and papers, from which the debtors’ financial condition or business transactions might be ascertained. The debtors failed to keep adequate books and records from which their financial transactions could be ascertained. The co-debtor was receiving cash payments from photography clients that were not disclosed and for which she has been unable to provide an accounting. It appears that the trusteee believed Jennifer McKinney had attempted to defraud her creditors. The bankruptcy was ultimately dismissed (with no debts being wiped out) and the objection was settled with the McKinneys paying a nominal sum of money to the bankruptcy court. What does this mean for the creditors? They can garnish this income if they take the proper legal steps. That’s right folks…. with the right paperwork, the creditors can get their money directly from Xyngular before it ever gets into Jennifer McKinney’s man hands! But time is of the essence. This level of earnings doesn’t often last in multi-level marketing. To keep it up, Jennifer needs to constantly recruit new victims who are willing to pump hundreds or thousands of dollars into Xyngular in the hopes that they will make it big too. I suggest that the Xyng charade cannot go on long for Team MckMama. Numbers don’t lie, but Jennifer McKinney does. She is recruiting people with the claim that she has LOST LOTS OF WEIGHT WITH XYNG. 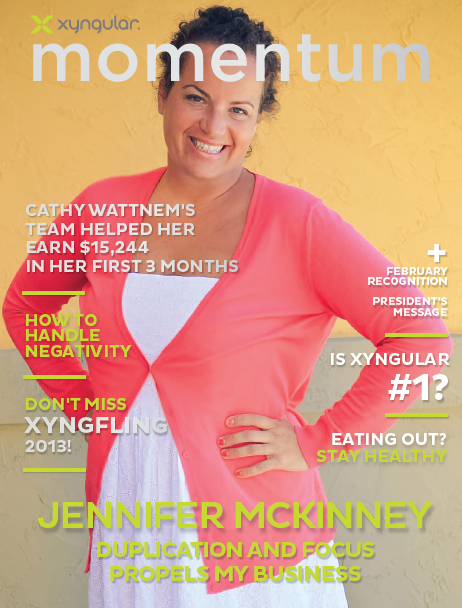 Check out this Team MckMama exposé, in which you can see that Jennifer lost 4.5 pounds per week with traditional diet and exercise, and only 1.5 pounds per week with Xyngular. Also, since Xyngular relies on starvation and drugs to create weight loss, it’s one of those fad diets with which the weight doesn’t stay off. She has been on the weight loss yo-yo for months, gaining about 35 pounds since August. The weight loss from Xyng is unsustainable, as is Jennifer’s income from this scheme. I suggest the creditors act quickly to get their share of her earnings. God knows that Jennifer doesn’t intend to pay her creditors the old fashioned way (i.e. voluntarily), and this Xyngular income of $34,000 per month may be the only way to collect the money they’re owed. I don’t understand the point of describing her hands as “man hands.” There are plenty of her words and actions to criticize without taking shots at her physical traits. I agree. It degrades this article to MWOP or GOMI status, which is unnecessary. Leave the snark to the “hater” sites. I should say – I agree with the “man hands” assessment. I just think the snark doesn’t belong here. Love! You rock! P.s. snark away!! Your blog, your rules, but when you make fun of a physical trait JM has no control of, it just makes you look like a mean girl and not a professional fraud investigator. Is there any way you could point readers (especially creditors of the Mckinneys) to her CURRENT PHYSICAL MAILING ADDRESS? I placed that in all caps because it seems that in all the legal paperwork as of late (eg. legal separation case on the Wisconsin Courts website and the judgment case on the Minnesota Courts website of Mr. Lee Youngman vs. Israel Mckinney where Mr. Youngman was stiffed $50K + plus for work he performed, etc. ), they continue to provide the Courts with out-of-date/inaccurate mailing addresses, which causes postponements of those cases due to them being “unreachable.” That’s just wrong, and it should be illegal to yet again, defraud the court systems. Could you actually post their current address and do so with no ramifications? One would think the Courts would appreciate the help! Thanks again for following these sleazy crooks. They’re beyond filth. Both of them. And now, knowing (thanks to the article you reference above) that Israel didn’t actually leave Jennifer and the five kids behind because he was the wretched father she made him out to be for alll those many months and that he was just “away working” — the whole separation thing just makes my stomach turn. That they’d even have the minds to be so calculating as to come up with such a deceitful plan. I wonder if these two sloths realize that one day, their children will expect answers. Their lives have been one giant calculating, sleazy lie of massive proportions. Tracy has posted their current address before, Lilly, (in comments linked below) so I doubt there are any possible ramifications beyond Jennifer McKinney furiously sticking pins in a custom-made (by photogenic white-toothed dark spots) Tracy Coenen voodoo doll. Thanks for making her sweat and seethe, Tracy! I’m sure they are capable of lying to their children just as easily as they lie to everyone else. I also won’t be surprised if the kids take up lives of lies and grifting just like mom and dad. Its a heart-breaking thought, I realize, but children do learn what they live. Tracy — Get plenty of sleep; you’re going to need it! The Mckinney’s current Contract for Deed # (lost track) “caught on fire” last night. JUST 3 WEEKS BEFORE THE BALLOON PAYMENT OF OVER $250K+ DOLLARS IS DUE. Of course, the children were at grandma’s house last night. As is always the case whenever she “accidentally” dives into a ditch with her SUVs totally them. And this isn’t the first fire, either. The house they were supposed to be moving into right before they moved into the Becker house “burned down”, too, right before they were to move in. Of course, we later learned that it didn’t burn down at all. We are fine, shaken and full of gratitude that our children were visiting Grandma last night! Our family is safe, even our pets. Glory to God and thankfulness to the amazing volunteer firefighters who worked through the wee hours of the morning to save what they could of our house. I sure hope the local arson investigator does his research into these two crooks. It is my opinion that this is all too convenient considering the well-documented lengths they’ve gone to in the past to deceive others when their backs are against the wall. We don’t need a thing. Just wanted you all to know. You can’t make this crazy up. Now their house burns, and the balloon payment is due in 3 weeks. Drama constantly follows these two, and they always come out smelling like a rose. Oh, and I love the snark! Bring on the snark! These two are just so maddening, even Pope Francis would have a hard time not taking pot shots at them. It has been confirmed by the Mckinney’s local police station that there was indeed a fire at the Mckinney residence last night. Hard to list a current mailing address since they’ve conveniently had a house fire…. How do you know there is a pending balloon payment of 250k? I feel for the people that owned that house, I doubt she had insurance on it….